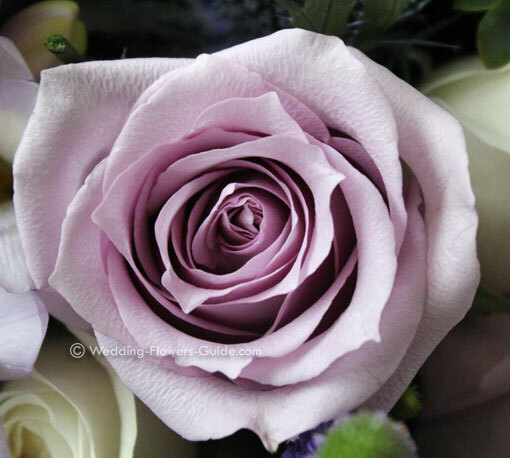 The ‘Pacific Blue’ rose has become a popular choice of rose for brides with a purple wedding color theme. This rose has a delicate soft lilac color to it, when combined with other dark purple flowers you can create a deeper depth of colour. 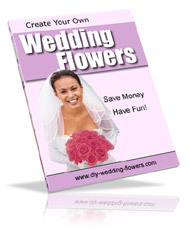 It also works well with ivory and lilac flowers for a softer colour combination. Above you can see how I used it in a textured bridal bouquet. Andrea (the bride) loved the natural English country garden look and I created this bouquet to fit with that theme. 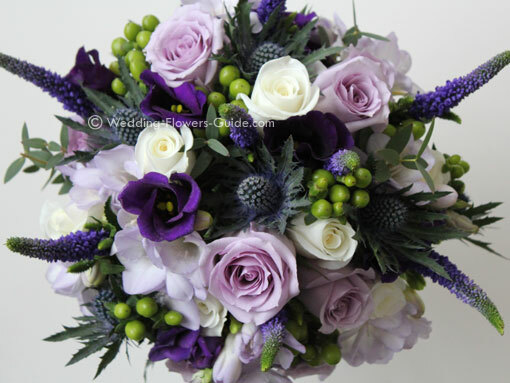 It features the ‘Pacific Blue’ rose, purple veronica, lisianthus, green hypericum berries, ivory roses, blue thistle and lilac freesias. Not only did this bouquet look beautiful it also had a lovely fragrance that came mainly from the freesias. 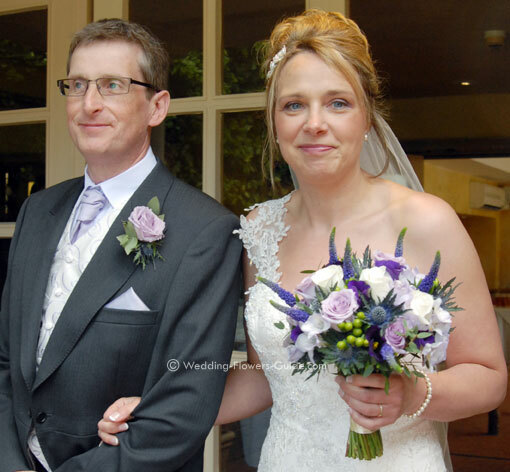 You can see Andrea here in the photo below, her husband also wore a buttonhole that I created using the ‘Pacific Blue’ rose.